Simone Molinaro was one of the more important Italian composers of the post-Renaissance era. 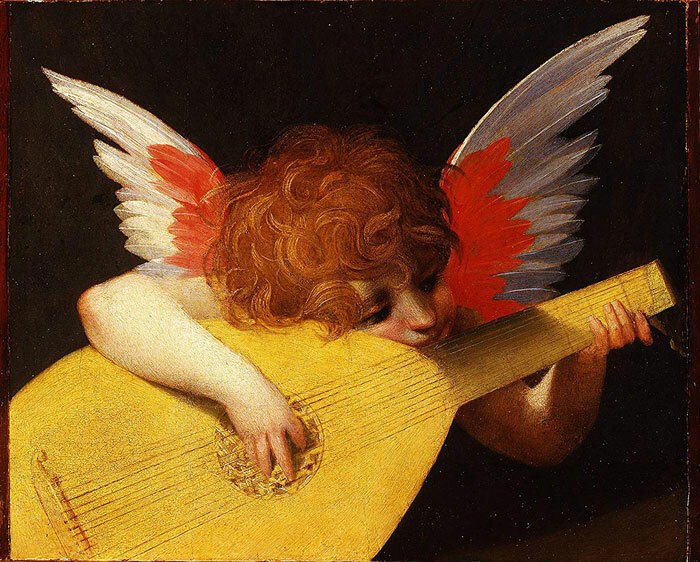 Though he was conservative and less harmonically daring than Gesualdo and other leading figures of the day, he displayed a rare talent for melody and rhythm, especially as exhibited in his magnum opus, the 1599 lute book. His sacred music is also well-crafted and attractive, even if it is indebted to Gesualdo. Molinaro was born in Genoa, Italy, around 1570. He was a pupil of his uncle, Giavanni Battista Dalla Gostana, composer (largely of madrigals) and lutenist. Little else is known of Molinaro’s early years, though by 1590 he was probably active in Genoan musical circles, possibly in service at the San Lorenzo Cathedral. He was certainly engaged in composition by this time as well, since his first published work appeared in his uncle’s second collection of Canzonette, in 1589. Dalla Gostena was murdered in August 1593, by Simone Fasce, an event of tragic aspect to the young Molinaro. In 1598 Molinaro was given a canonry at the San Lornenzo Cathedral, and then appointed maestro di cappella there three years later. In 1599 Molinaro published his famous lute book, a large volume containing original compositions (saltarellos, passamezzos, galliards, and fantasias) as well as intabulations of vocal works by other composers, including Clemens non Papa, Crecquillon, Gioseppe Guami and Orlando di Lasso. In addition to his lute works, Molinaro composed a large amount of sacred choral music, most of which does not survive completely because of missing partbooks. However, some five-voice motets have been preserved in the collections of Hasler and Schadaeus. Molinaro began a long professional relationship with the Cappella di Palazzo in 1608, in the first year on an interim basis, then as a regular musician thereafter. In 1611 Molinaro published Gesualdo’s six-volume collection of madrigals for five voices. His action on behalf of a composer he greatly admired was likely prompted by a visit to Naples in 1609-1610, during which he met with Gesualdo. The publication of the Gesualdo madrigals was ground-breaking because it presented Gesualdo’s music in full score as opposed to partbook format. Molinaro also published some of dalla Gostena’s compositions in several different collections. In 1617 Molinaro was discharged from his duties as maestro di cappella at the San Lorenzo Cathedral, probably owing to grave illness, from which he apparently fully recovered by 1619. In 1625 Molinaro was appointed maestro di cappella at the Cappella di Palazzo. After this year, almost nothing is known of his activities, though he continued in his maestro post until at least 1633. He died almost certainly in the period 1634-1636. Documentary evidence establishes he was alive in 1634, and that a new maestro di cappella at the Cappella di Palazzo was installed in 1636. His own canzonets, and church music for from one to ten voices, show the influence of Gesualdo in their declamatory style and advanced chromatic harmonies; the latter are also to be found in his 1599 lute book. This includes fantasias, and important examples of the variation suite consisting of groups of dances whose separate sections are all based on the same chord progression. Molinaro’s lute music introduces a finished, graceful, instrumental style, with all shades of expression and a technique usually associated only with the vocal music of the period.